What do you know about Refined Flour? Refined flour – a “junk”… Wondering why I called refined flour junk?. We all are of the opinion that refined flour is obtained from wheat and therefore assume it is good. The fact is that nobody is aware of how refined flour is made. It does not contain fibre and therefore slows the digestion process and leads to constipation. In severe cases may cause colon cancer. It is acidic in nature causes inflammation in the gut system. As mentioned above ‘Refined Flour’ is nutrient deficient. May lead to weight gain as most of it’s products are rich in oil also mostly calorie dense. 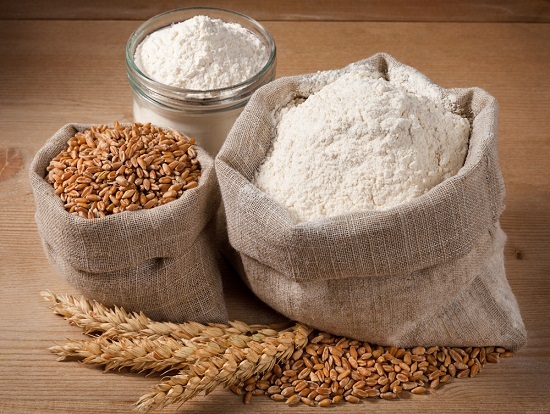 If you realise how much of white flour we consume on a daily basis in the form of biscuits, all types of breads, all bakery items, noodles, cakes, pastries, pizzas, pastas, pancakes etc its alarming. One should not completely avoid these foods or eliminate it from your diet but, it’s better to refrain from it as much as possible as our body is not benefiting. Rather, I would suggest swapping with whole wheat options which is easily available these days (in metro cities). Whole wheat products may not give the taste you want or may not turn up the best product as white flour does but, it is a very healthy option. White flour cannot be substituted with wheat flour. Always choose whatever is good for your GUT…after all health matters.